You are currently viewing Archived reports for the week of 28 May-3 June 2014. 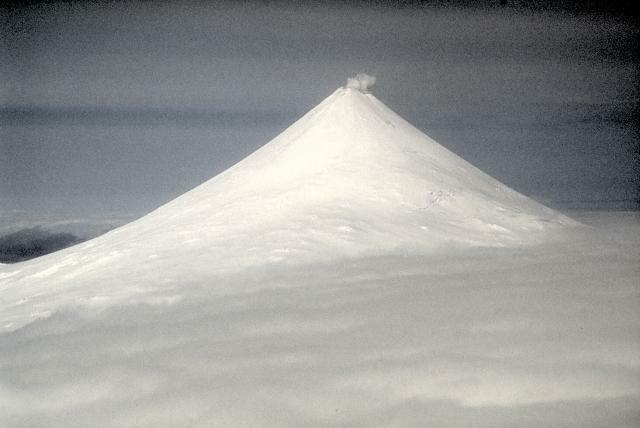 AVO reported that on 31 May elevated surface temperatures were detected over Pavlof in satellite images, suggesting a low-level eruption with lava. Observers camping near the volcano confirmed lava and noted that flows were originating from a vent on the NE flank. A low-level steam plume was visible in satellite images and recorded by the FAA web-cam located in Cold Bay. Several pilots observed a gas-and-ash plume drifting N at altitudes of 2.1-2.4 km (7,000-8,000 ft) a.s.l. 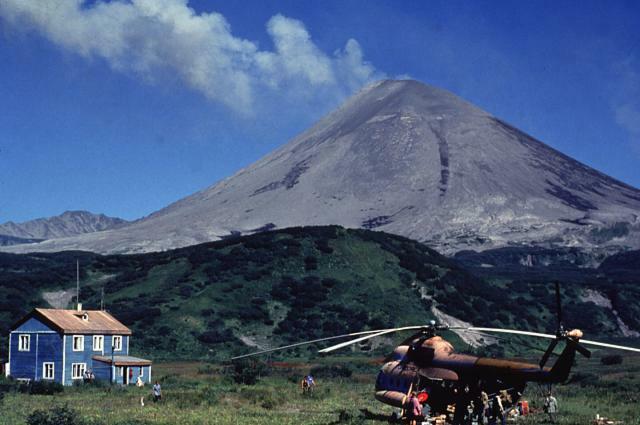 The Aviation Color Code was raised to Orange and the Volcano Alert Level was raised to Watch. Small explosion signals were detected by a distant infrasound sensor. Later that night weak incandescence from the summit was observed in the webcam. On 1 June clouds obscured web-cam views and ash plumes were not detected in satellite images. The seismic network detected weak activity. Activity escalated on 2 June, prompting AVO to raise the Aviation Color Code to Red and the Volcano Alert Level to Warning. Seismic tremor increased at 1500 and pilots observed ash plumes at altitudes of 6.7 km (22,000 ft) a.s.l. Satellite images showed a plume drifting more than 80 km E. Seismicity started to decrease at 2300. The web cam recorded intense lava fountaining at the summit and incandescence from a spatter-fed lava flow on the N flank. On 3 June seismicity again increased and pilots observed ash-and-steam plumes at altitudes of 7.3 km (24,000 ft) a.s.l. that drifted SSW. Later that day AVO lowered the Aviation Color Code to Orange and the Volcano Alert Level to Watch due to a decrease and stabilization of volcanic tremor. Satellite and webcam images showed two distinct parts of the plume: gas and steam with minor amounts of ash rose high above the volcano and drifted S, while pyroclastic flows on the N flank produced diffuse ash that caused hazy air and variable concentrations of ash below 3 km (10,000 ft) a.s.l. Winds were likely to push ash at lower altitudes WSW. 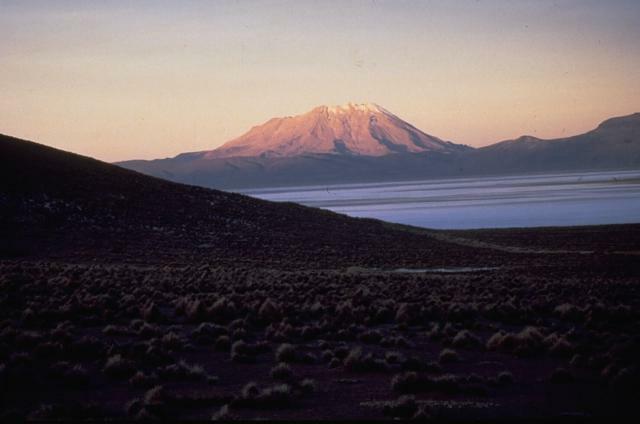 According to SNET in a report from 1 June, the Ministerio de Medio Ambiente y Recursos Naturales (MARN) reported that seismicity at San Miguel remained high. Locals observed more intense gas plumes rising from the crater with occasional minor amounts of ash, especially after rainfall. Rumbling was also reported. PVMBG reported that during January-29 May diffuse white plumes rose at most 25 m above Sangeang Api's crater. On 30 May seismicity increased, with tremor starting at 0500 and becoming continuous at 1348. 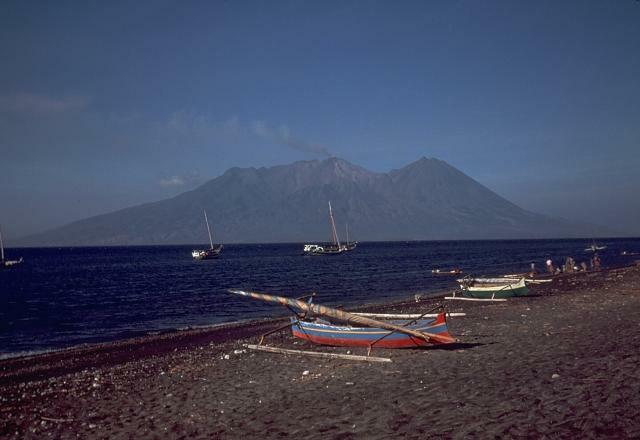 An eruption at 1555 generated an ash plume that rose 3 km and drifted W, causing ashfall over the sea. The Alert Level was raised to 3 (on a scale of 1-4). The island has no permanent settlements, and is only occupied during the growing and harvest seasons; civil authorities evacuated 135 people to the mainland. Based on satellite images, pilot observations, and the Indonesian Meteorological Office, the Darwin VAAC reported that on 30 May an ash plume rose to an altitude of 15.2 km (50,000 ft) a.s.l. and drifted 440 km E and 750 km SE. BNPB reported that on 31 May two larger explosions occurred at 1330 and 2242. According to the VAAC, ash plumes from those explosions rose to altitudes of 13.7-15.2 km (45,000-50,000 ft) a.s.l. and drifted 280 km NW and other various directions. Later in the day the ash plumes became detached. Ashfall affected many areas in the Bima Regency on the mainland, including Wera, and prompted the evacuation of 7,328 people from four villages within a radius of 8 km from Sangeang Api. The Bima and Tambolaka airports were temporarily closed. According to a news article, all flights to and from the Darwin International Airport in Australia on 31 May were canceled. The VAAC noted that ash plumes rose to an altitude of 4.3 km (14,000 ft) a.s.l. on 1 June and drifted W and SW. During 2-3 June ash plumes rose to altitudes of 3-4.3 km (10,000-14,000 ft) a.s.l. 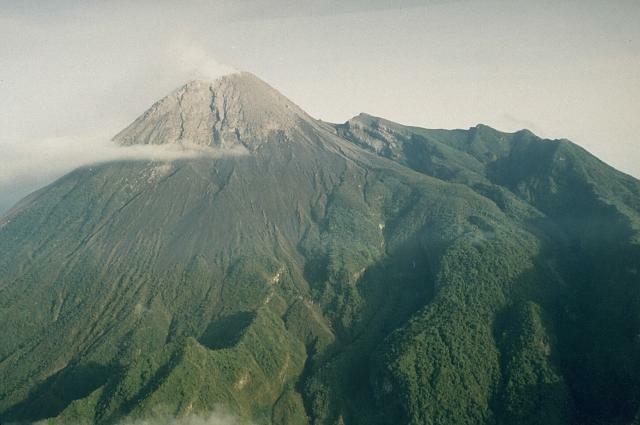 and drifted 45 km W.
INSIVUMEH reported that on 29 May a hot lahar descended the Nimá I river drainage on the S flank of Santa María's Santiaguito lava-dome complex, carrying blocks up to 50 cm in diameter as well as tree trunks and branches. The lahar was 25 m wide and 3 m deep and had a strong sulfur odor. 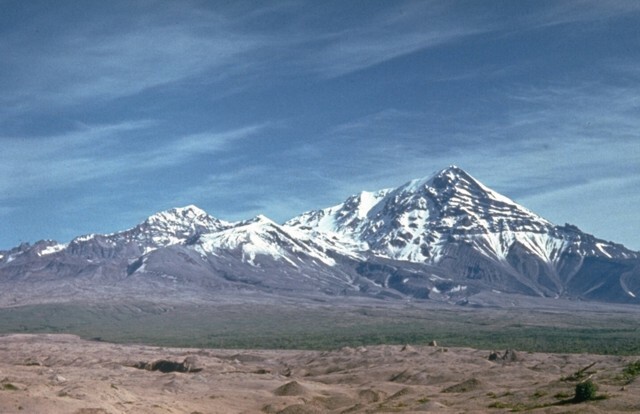 Explosions during 31 May-1 June generated ash plumes that rose 600 m and drifted W and SW. Lahars on 1 and 3 June descended and caused flooding in the Nimá I, San Isidro (S), and Samala (E and S) rivers. On 2 June explosions produced ash plumes that rose 500 m, drifted W, and caused ashfall in Monte Bello and Loma Linda. Hot lahars with a sulfur odor again descended Nimá I. On 3 June a lava flow slowly descended the E flank of the dome. 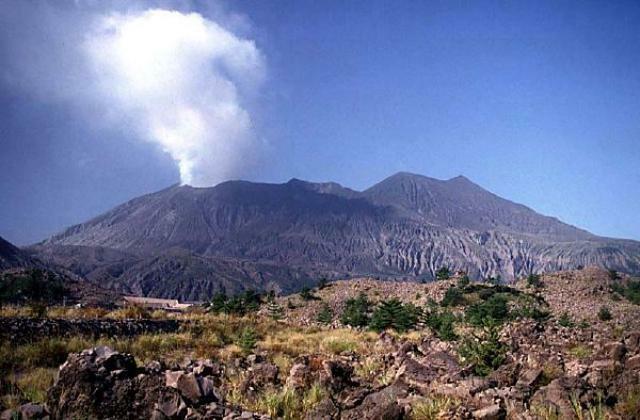 Based on JMA notices, the Tokyo VAAC reported that on 31 May explosions from Aira Caldera’s Sakurajima volcano generated plumes that rose to an altitude of 3 km (10,000 ft) a.s.l. and drifted W.
Based on analyses of satellite imagery and wind data, the Darwin VAAC reported that on 28 May ash plumes from Dukono rose to an altitude of 2.1 km (7,000 ft) a.s.l. and drifted 75 km NW. The next day an ash plume rose to an altitude of 3 km (10,000 ft) a.s.l. and drifted 65 km W. On 3 June ash plumes rose to an altitude of 2.1 km (7,000 ft) a.s.l. and drifted 55 km NW. INSIVUMEH reported that during 31 May-1 June explosions at Fuego produced ash plumes that rose 350-550 m above the crater and drifted 8 km WNW. During the afternoon and evening of 1 June lahars descended the Las Lajas (SE) and Honda (E) drainages, as well as the Seca (W) drainage which disrupted traffic. Other sections of roadway to the W and S were also affected. Heavy rain continued on 2 June; lahars descended the Las Lajas and El Jute (SE) drainages, carrying blocks as large as 1.5 m in diameter. 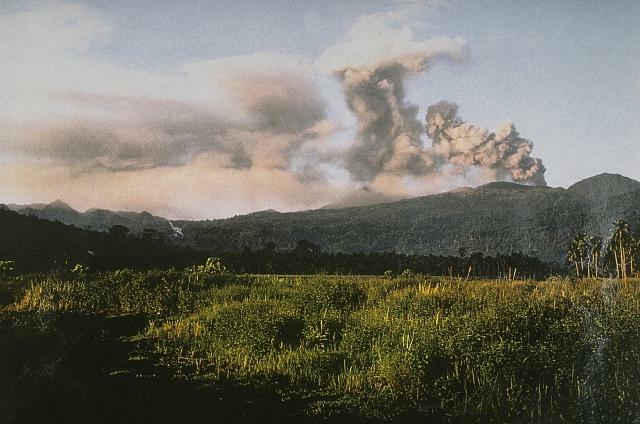 Explosions during 2-3 June generated ash plumes that rose 550-650 m and drifted 8 km S and SW. Incandescence rose above the crater and avalanches descended the Taniluyá (SW), Trinidad (S), and Ceniza (SSW) drainages. 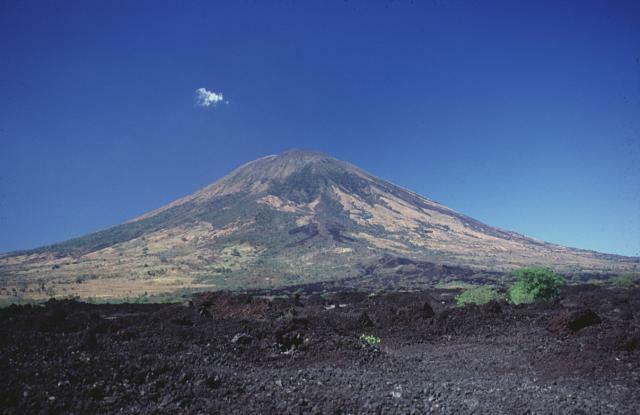 KVERT reported that Strombolian and weak Vulcanian activity continued at Karymsky during 23-30 May. Satellite images detected a thermal anomaly over the volcano on 25 and 27 May. The Aviation Color Code remained at Orange. During 28 May-3 June HVO reported that the circulating lava lake occasionally rose and fell in the deep pit within Kilauea's Halema'uma'u Crater. Gas emissions remained elevated. The plume from the vent continued to deposit variable amounts of ash, spatter, and Pele's hair onto nearby areas; smaller particles may have been dropped several kilometers away. 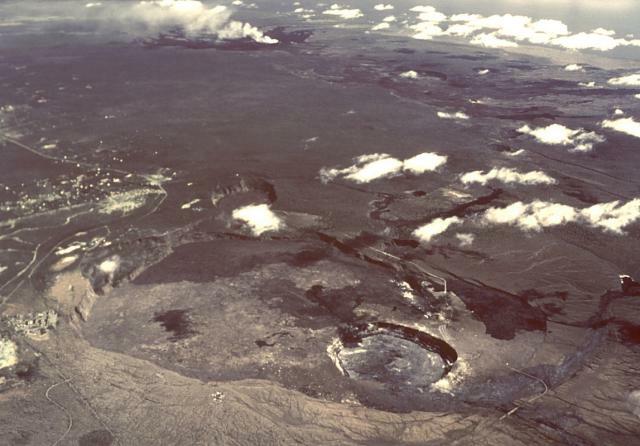 At Pu'u 'O'o Crater, glow emanated from spatter cones on the N, NE, SE, and S portions of the crater floor. During 30 May-1 June the small lava lake in the NE spatter cone briefly overflowed its rim each morning. On 22 May geologists mapped the farthest point of activity from the Kahauale’a 2 lava flow, 8.4 km NE of Pu’u 'O'o; on 30 May they mapped three small breakouts 1.8-6.2 km from Pu’u 'O'o. 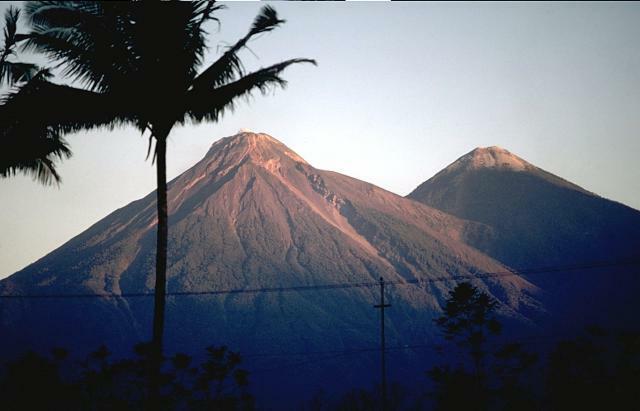 PVMBG reported that during 16-22 May seismicity at Merapi fluctuated at normal levels and deformation measurements showed no significant changes. Solfatara plumes rose 300 m and drifted W on 27 May. The Alert Level remained at 1 (on a scale of 1-4) on 23 May. 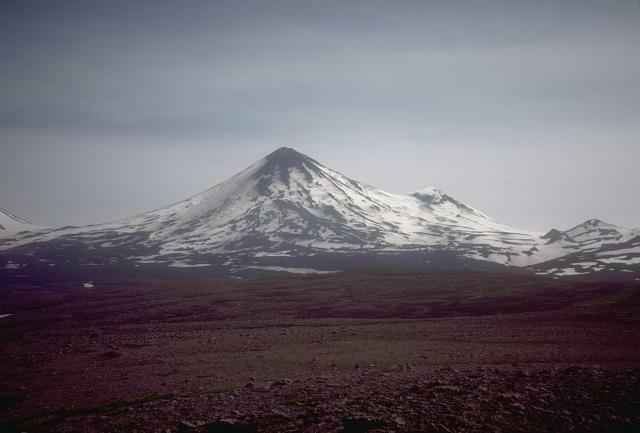 KVERT reported that during 23-30 May lava-dome extrusion onto Shiveluch’s SE flank was accompanied by ash explosions, incandescence, hot avalanches, and fumarolic activity. An explosion on 26 May generated an ash plume that rose as high as 10 km (32,800 ft) a.s.l. and drifted 800 km SSE. Satellite images detected a thermal anomaly over the dome during 23-25 and 27-28 May. The Aviation Color Code remained at Orange. AVO reported that, although cloud cover frequently obscured views of Shishaldin during 28 May-3 June, elevated surface temperatures at the summit were detected in satellite images, and minor steam emissions were observed in webcam images. The Aviation Color Code remained at Orange and the Volcano Alert Level remained at Watch. 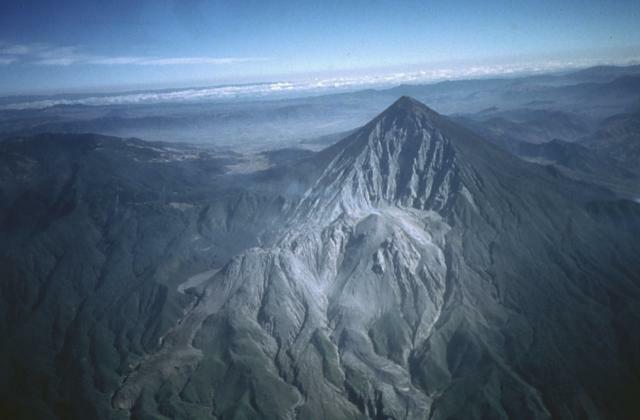 Observatorio Vulcanológico del INGEMMET (OVI) reported that during 28-29 May ash emissions at Ubinas continued; gas-and-ash plumes rose 0.6-2.5 km above the crater and drifted ESE. Ashfall was reported in various towns downwind of the plumes, including Querapi (4 km S), Ubinas (6.5 km SSE), Escacha, Chojata, San Miguel, and Tonohaya. The Buenos Aires VAAC reported that seismicity fluctuated during 2-3 June. Satellite and webcam images as well as pilot observations indicated continuous emission of gas and ash that rose to altitudes of 6.7-10.7 km (22,000-35,000 ft) a.s.l. and drifted NE, E, and SE.